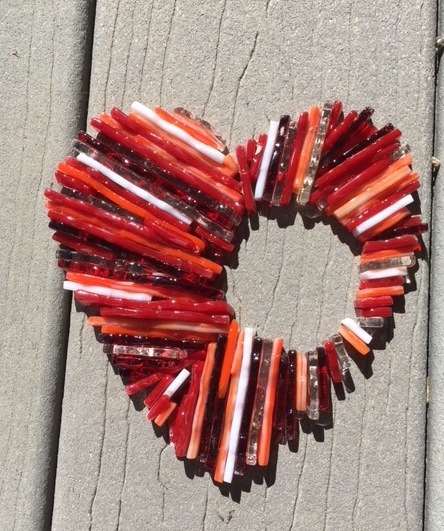 Grief Beyond Belief community member Laura Mathes-Orr, a beginning glass artist, has kindly allowed us to share this beautiful representation of her grief. It is rare that we have the opportunity to publish photographs of the art our community members create to express their grief. Creativity is clearly a process for grieving that is Humanist in nature, as it allows us to communicate our sorrow in a way that is unique to our human selves. The artist puts the emotions of grief — in this example the sense of a void within the shattered but resiliant heart — on display, an act of sharing and vulnerability. The viewer is moved by the feelings of another, and if they themselves are grieving, may find that the image or object “speaks” to them and even for them. Art therapy is frequently used in conjunction with various forms of talk therapy and peer-to-peer support. Many of us who have participated in in-person grief support groups remember the opportunities to draw and collage as some of the most healing group activities. Because online support is by nature less hands-on, online grief support groups do not often involve sharing visual art — although grief writing, particularly poetry, is often shared in online peer-to-peer communities. I would love to publish more photographs of art created in memory of loved ones or as a tool to process and express grief. If you have art you would like to share, please send a photograph and an artist’s statement to griefbeyondbelief@gmail.com. 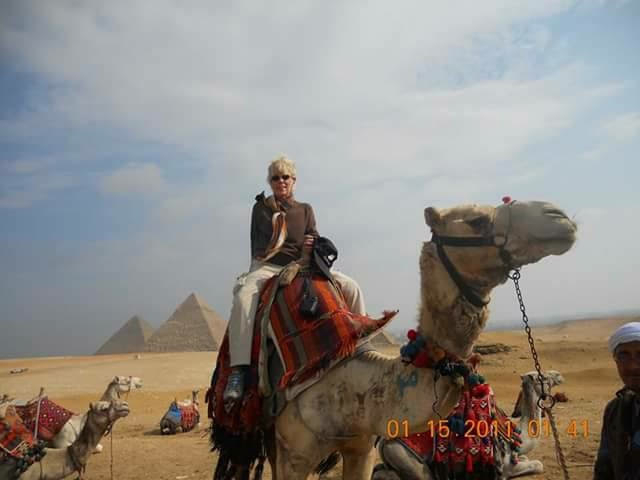 Laura’s mother, Mollie F. Mathes, loved to travel, and Egypt was her dream vacation. Rebecca and Laura, Thank you for sharing your Art with us. Laura, your piece is wonderful…the sharp chards of glass that cut our Hearts every moment of our Grieving, is symbolically meaningfull. The color variations remind me of the degrees of my grief. The missing part needs no explanation. I was saved in my deepest moments of Grieving by Art and the People of this Site. I am forever grateful.